This is a blatant lie by Attorney Crump. In "early April" (3:06) - Samaria Rice moved into an apartment. Furthermore, the money from the fund Shaun King established on youcaring.com back in December was taken over by the former attorney for Samaria Rice and transferred into a probate trust account for the family. Benjamin Crump did NOT authorize the youcaring donation fund, as he claimed in a tweet, Shaun King started the account and all funds were going to go directly to him - exactly as I wrote when I called him out in December. This has been confirmed with the former attorney who took over the account from Shaun after calling the *FBI for assistance. The money raised was closer to $70,000, not $60,000, and it still sits in the probate account. 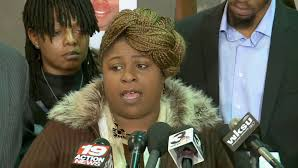 If Samaria Rice was ever homeless, as her attorneys Crump and Madison claim, why didn't they attempt to withdraw this woman's money to help her out financially? Why is the money just sitting there? My guess is the attorneys want to make sure they get their cut, even if it means this mother suffers. Benjamin Crump and Walter Madison are the attorneys for Samaria Rice, the mother of yet-to-be-buried, Tamir Rice. 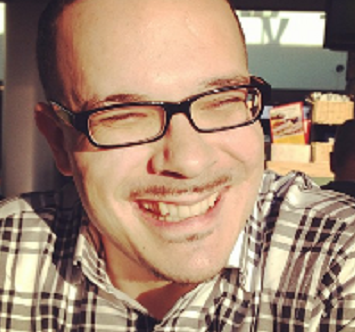 And of course, there's Shaun King, the master of fraudulent fund raising. Two problems with the above tweet, this is only an order from the probate court to claim attorney's fees signed by a Judge, not a receipt (see "to be paid" verbiage in order). The above named attorneys were the Rice family attorneys prior to Benjamin Crump and Walter Madison being hired by the Rice family without the knowledge of their former attorneys. King posts Timothy Kucharski's phone number, encouraging people to call him about this. Seriously, this is how much of a sociopath King is, he doesn't care that there are consequences to libeling attorneys, THREE attorneys, on social media. Calling them "thieves", no less. These attorneys have not received any of the funds, they have no access to them. The fees they applied for and were granted were fees owed to them when Samaria Rice agreed to drop them and go with Crump and Madison. She (and Crump), knew full well she would have to pay her former attorneys at that point. Then, while attorney's Timothy Kucharski and David Malik TAKE THEY MONEY we raised for Tamir, his mother ends up in a damn homeless shelter. Crump, Madison, and the court agreed to pay these fees to the Rice family's former attorneys, they have yet to receive those approved and agreed to fees. Bury her son? He's not been buried yet? The family started a burial fund, with donations directed to an account with US Bank just for the purpose of burying Tamir. The youcaring donation site was to help bury her son as well. Then there were church donations and T-shirt sales. Despite the fact that Shaun King wrote in the youcaring donation site's description "Let's keep this simple. Every single dime we raise is going directly to the family of Tamir Rice", the Rice family never received a single dime from that account. The above is another blatant misstatement of fact. Below is a disgusting display of how these attorneys and a useful sociopath are using their clients for their own gain. When are people going to learn that Benjamin Crump and ALL of his useful idiots are out for only themselves. Every fame whore that hooks up with him are crooks, 100% of the time, including his various co-counsels. When will people stop being blind to the fact that Crump only cares about himself, his high profile status, and his own pocketbook - the dead black children are just a means to those ends. I spoke to both David Malik and Tim Kucharski for this story. Mr. Kucharski told me he spoke to the FBI about the youcaring account and Shaun got upset. This tells me the FBI was somehow involved in the take down and transfer of the youcaring account for Tamir Rice. I never stated an investigation was opened, nor did Mr. Kucharski. *Update: Mr. Kucharski read this blog and the only correction he has is that the FBI did not contact Shaun as far as he knew. Wesley Lowery wrote that law enforcement was involved in the take-down, but with that "journalist", it's always a crap shoot on accuracy.